Dassault Aviation designs, produces and provides support for Falcon aircraft. Its civil design offices are located in Saint-Cloud and Bordeaux. The final assembly of the aircraft takes place at the Bordeaux-Mérignac site. 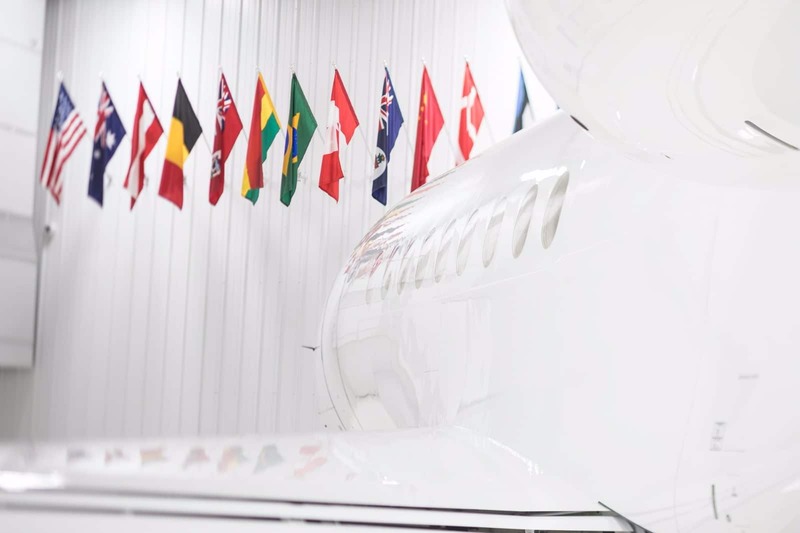 Dassault Aviation carries out marketing, sales and support activities in Europe, Asia and the Pacific, Africa and the Middle East. Dassault Falcon Jet is the US subsidiary of Dassault Aviation. It is responsible for marketing, sales and support activities in North and South America. The Little Rock site (Arkansas, USA), the Group’s largest industrial facility in terms of surface area and workforce, is the aircraft completion center. Dassault Falcon is a brand name used for international sales promotion. Dassault Aircraft Services (DAS), Sorocaba (Brazil). Dassault Falcon Jet facility: Little Rock, USA. Shed of delivery. Aero Precision Repair & Overhaul Co., Inc.